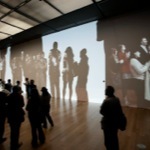 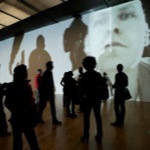 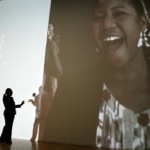 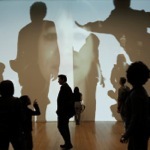 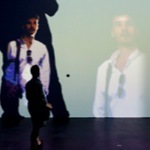 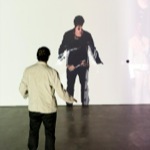 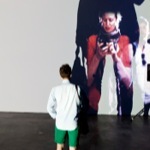 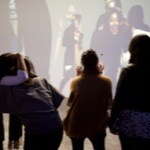 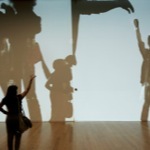 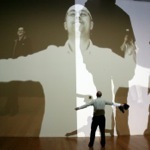 Rafael Lozano-Hemmer - Project "People on People"
An installation designed to displace the public’s image in real-time, creating a platform for embodiment and interpenetration. 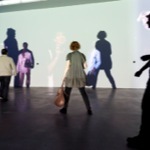 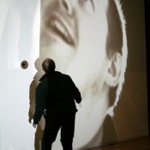 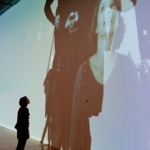 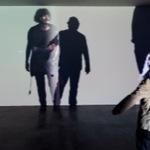 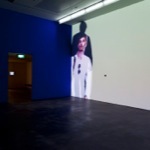 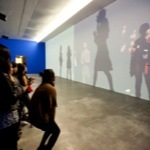 The piece consists of floor-mounted projectors that cast the shadow of the public onto a wall and another set of hanging projectors which project images inside the shadows. 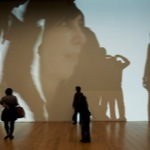 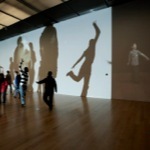 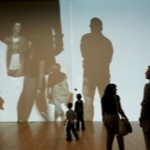 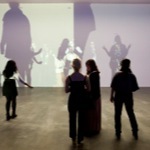 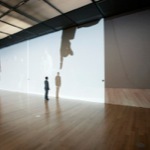 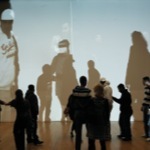 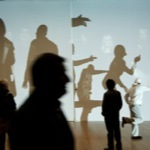 As people walk around the room they see inside their shadow the live and recorded image of other visitors, while their own image is recorded for live or delayed playback inside the shadow of someone else. 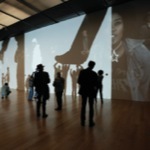 The piece includes high resolution surveillance cameras with face recognition and 3D tracking, turning the exhibition room into one of the world’s most advanced scanners. 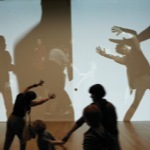 People on People is a continuation of Lozano-Hemmer’s search for experiences of co-presence, platforms where live transmission affords entanglement and puppetry. 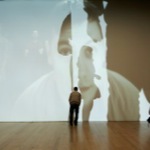 Co-commissioned by Manchester Art Gallery and Abandon Normal Devices (AND) Festival of New Cinema and Digital Culture. 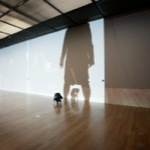 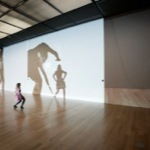 Keywords: indoor, recorder, projection, database, shadows, tracker.